PROS: Straightforward to set up. Inexpensive compared to hearing aids. Easy to adjust the sound preference. CONS: You have to open the battery door when not in use to preserve the battery life. If you want to get the extended warranty, you need to purchase a hearing aid Dry and Store. SUMMARY: This is a good quality hearing amplifier that will help anyone with high-frequency hearing loss to hear better in various situations. 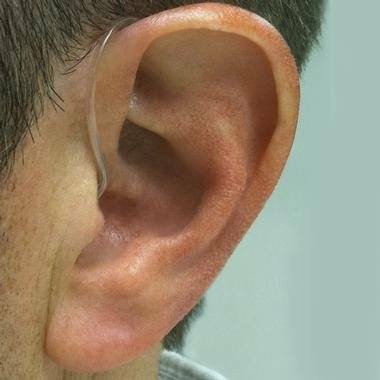 If you are not quite ready for a hearing aid and only need help in specific listening situations the Tweak focus model is an inexpensive option to consider. The 30 money back guarantee allows you to try this out to see if it is right for you. If you do buy it and are not happy with it the company will refund your money with a minimal amount of hassle. It is worth testing this product out because it may make a huge difference in your quality of life. 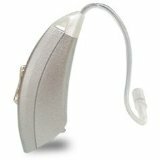 The Tweak Focus Hearing Amplifier falls into the mid-level price range of hearing amplifiers. It isn’t the cheapest, but it also isn’t the most expensive. Tweak has two models of hearing amplifier available: the Basic and the Focus. The focus model is slightly more expensive, but offers more useful features than the basic, for not much more money. The Basic is designed for quiet listening environments (i.e., staying home) while the Focus is ideal for a peaceful as well as noisy situations (i.e., restaurants). This review is for the Focus model. When shopping for a hearing device a critical feature to look for is how comfortable is the unit going to be to wear. The Focus is exceptionally light, to the point that you may forget that you are wearing it. The body is slightly larger than comparable products like the Empower, but for the most part, you will be able to wear the device without it being too noticeable. The clear tube that goes into the ear canal is barely noticeable, and you get one for the right ear and one for the left ear. The Focus comes with two styles of tips; one is a sleeve tip, which is what the company recommends you use first, then if you need more amplification you can add the dome, which will make the unit louder. Since this type of instrument is intended to supplement high-frequency hearing while allowing lower frequencies to be heard regularly, the dome doesn’t seal in the ear canal; it is just placed into the canal. It is a slightly different design than something like the Empower that is meant to fit snuggly in your ear. The Focus model has two microphones; a rear microphone and a front microphone. If you are in a noisy place like a restaurant you can use the front microphone, so you become focused on the noise in front of you. Anywhere else you can use what is called the “Omni” setting, meaning that you hear the noise coming from all around you. You can also adjust the setting so you can suppress background noise. What makes theTweak Focus so much better than low-end hearing amplifiers is the ability to customize the sound to your preferred listening settings. The Focus is pre-programmed for the most common type of hearing loss, high-frequency loss. Within the pre-programmed options, you have a good range of settings to customize the device even further using the rocker switch serves as your volume control, and it also allows you to switch between two listening modes: Quiet and Noisy. The rocker system is easy to understand and use without taking the amplifier off the ear. The Tweak is very easy to reset, once you know how it works. If you do buy this device make sure you watch the video a few times or study the instruction manual to learn the sequence of steps to adjust the instrument. By doing that you will get much more use out of the various features. The warranty is a little different on the Tweak. 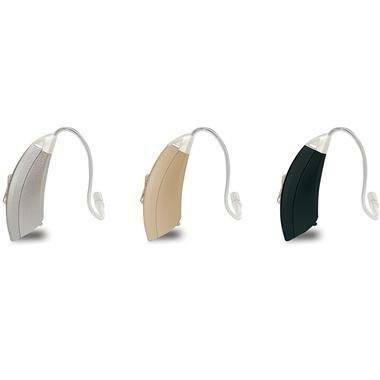 The company offer a 6 month standard warranty, but you can get an additional 6 month warranty with purchase of a hearing aid Dry & Store Drying Product (Global II and Zephyr units only), which you buy separately at an additional cost of between $75 to $100. The Tweak package comes with an instructional booklet and DVD video that gives you an overview of the product, shows you how to set it up, shows you the features, maintenance and it also talks about what the Dry and Store unit is useful for. The video and instruction book is both comprehensive and easy to follow. The Tweak customer service has an excellent reputation, and there are many very positive reviews from customers who were having trouble with the device, or need replacement parts and were very satisfied with the support they received from the company. After about six months the tubing will become yellow and harden, and you will need to order a replacement, either through Amazon or through the company website. Tweak uses a 312 (brown tab) battery. With full-time use, the battery will last around seven days. When the battery becomes low you will hear a warning of six sets of double beeps; then the instrument shuts down. When not in use you should open the battery compartment to help preserve the battery life. If you are using one of the dry and storage devices, it helps to insure the equipment is clean when you put it back on, and there is no moisture on the battery or in the battery compartment. Tweak Focus costs between $200 and $250 per unit. It comes in beige, black or silver and the price does vary based on color with the black and silver units being slightly cheaper than the beige. The company suggests that most people will use two devices, as that is how you can hear better in noisy environments and you can hear where the sound is coming from. There is no special offer for buying two devices, so if you are thinking about getting this instrument you can order one and see if it suits; then purchase a second instrument for even better hearing. Some of the links in this post may be affiliate links (meaning the site gets a few pennies when you spend a dollar).